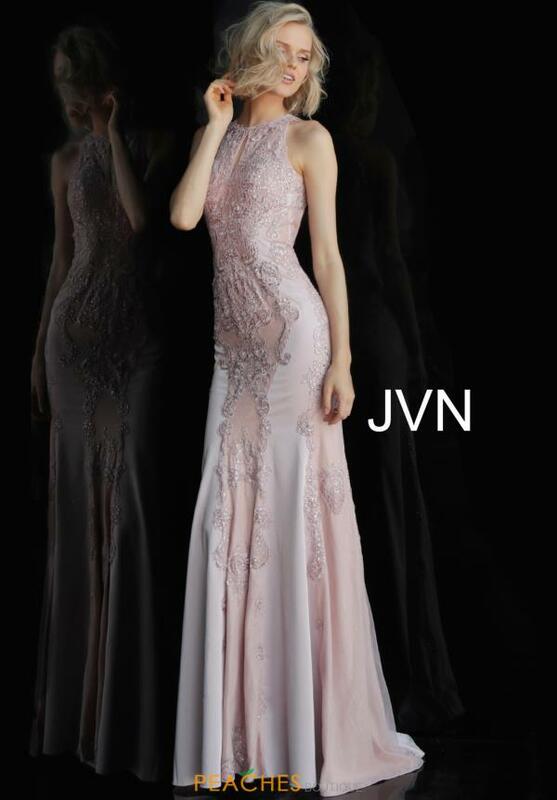 Vibrant prom dress JVN55869 is a show stopping style for senior prom. This lavish design shows off a high halter neckline with a flirty peek a boo cutout. The entire fitted bodice is decorated with a stunning lace fabric for a breathtaking touch. The look is completed with an open illusion back and small train.